Though it hardly seems that far in the past, the HIV/AIDS epidemic first gripped the nation more than 30 years ago. In the time since, communities have worked together to fight the diseases’ deadly impacts. It’s that history that inspired the stories in “Our Communities Our Sexual Health: Awareness and Prevention for African Americans.” Edited by Madeline Sutton, Jo A. Valentine and William C. Jenkins, the book explores the struggles and successes in the black community, from public health workers and advocates to lay people. It’s those many stories that make the book special, says Jenkins, who was signing copies of the book with Sutton on Sunday at the APHA Press booth in the Public Health Expo hall. Pulling from many experts in sexual and public health, the editors found that their stories, while they came from all walks of life and health, touched on similar points. “I went into it with a very open view of what people might say, and I was pleased with this sense that there were connections in the journeys,” Jenkins adds. It was clear that the editors themselves had made connections as well. During their book signing, many people approached both Sutton and Jenkins to thank them for their work on the book, their mentorship and their friendship over the years. Many worked in sexual health, as advocates for black health or both, but some were laypeople. That’s just the mix the editors hope to reach, says Sutton. 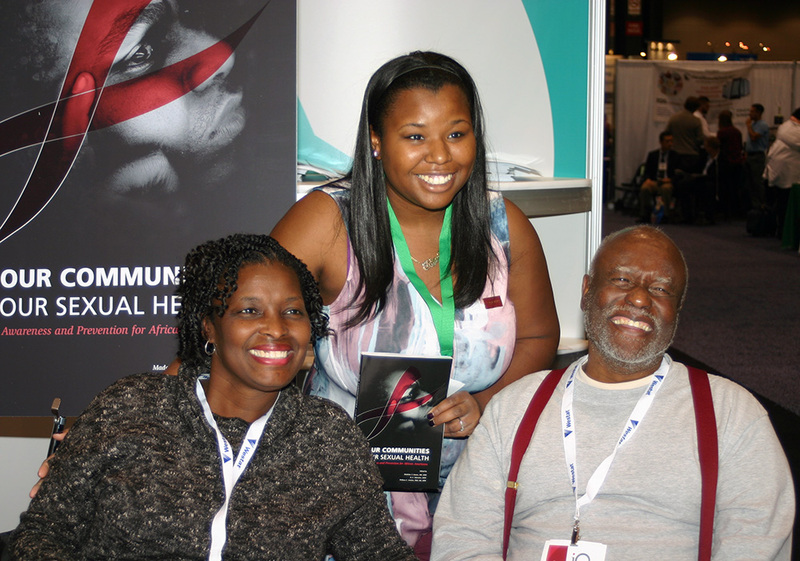 “Our Communities Our Sexual Health” is available at the APHA Press booth, #941, and online.